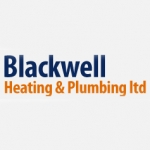 Blackwell Plumbing and Heating deal with all your plumbing needs from servicing and repairs for your existing boiler to fixing a dripping tap or leaking radiator to installing a complete central heating system. Andrew and Claire are a husband and wife team who have steadily expanded their heating and plumbing business in the centre of Darlington. Now the company deals with complete bathroom design and fitting including wet room flooring, complete central heating systems, brand new fires and fireplaces. Also advising clients on Green issues like energy conservation. Blackwell Plumbing and Heating deal with all your plumbing needs, from servicing and repairs for your existing boiler, to fixing a dripping tap or leaking radiator, to installing a complete central heating system. We also offer offer a complete bathroom design and fitting service including wet room flooring. When fitting bathrooms we offer a "one stop" service, which means our team includes plasterers joiners and tilers, so no waiting, or ringing around for other tradesmen. Aswell as having a fantastic range of beautiful and stylish fireplaces, and new Energy Efficient boilers. The showroom is in the heart of Darlington Centre and welcomes anyone along to see examples of their work, this is for peace of mind and added security. You are always welcome along and will be greeted by helpful and friendly staff anytime. While the original work was done to my specification, the fireplace was damaged after installation which this company did not accept liability for, the fire itself was not as I was led to believe and took more than 2 months to have replaced. There was a total lack of communication from this company, I had to make all the calls and the girl in the office I spoke to was extremely rude. Poor service! Unprofessional company! Would not recommend! Whilst the work was done as required, I was charged double the labour time than what actually took place. To make matters worse when I atttempted to rectify this with the company owner via telephone I was verbally abused and threatened if I did not pay the amount in full. A trully horrific experience, one I would not wish on anyone else. Stay well clear. We have used this company on at least seven occasions, for work ranging from minor repairs to major works (including the re-design and fitting of two bathrooms, a cloakroom/W.C. and central heating boiler replacemant). On all occasions, the work was done to a high standard,the workers were professional, friendly and knowledgeable and proved to be thoroughly trustworthy with a sense of pride in their work. They are respectful of your property and have always been prompt, reliable and punctual. We will certainly continue to give this great team our custom and will recommend it to others.